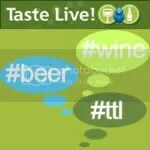 *Disclaimer: I received this wine as a sample from Branford Wine & Spirits. 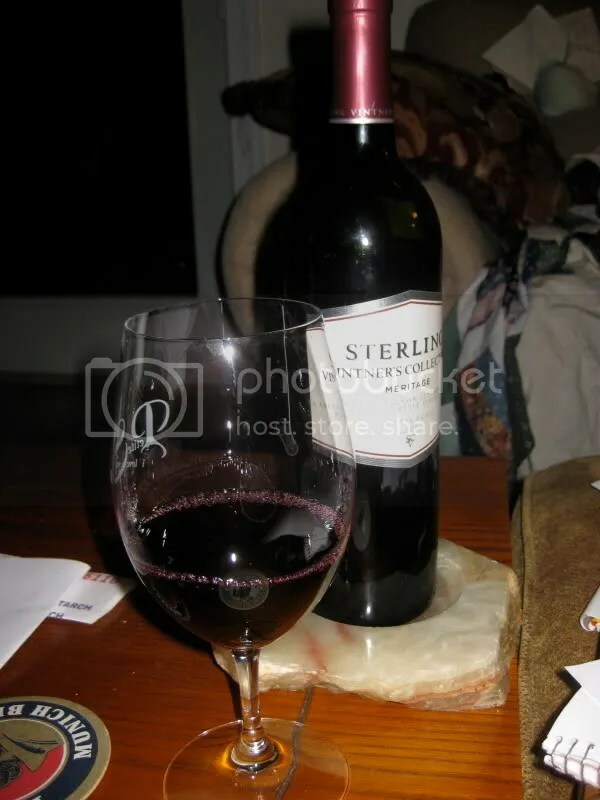 Sterling Vintner’s Collection holds a special place in my heart…we served the Cabernet Sauvignon and the Sauvignon Blanc at our wedding. Budget constraints and the ability of our venue to secure anything from their distributor (that’s a rant for another day…I handed them a list of 10 white and 10 reds that were NOT very obscure wines and they couldn’t get any of them!!) led us to Sterling Vintner’s which I have always found to be an easy, varietally correct, inexpensive crowd pleaser of a wine for parties. 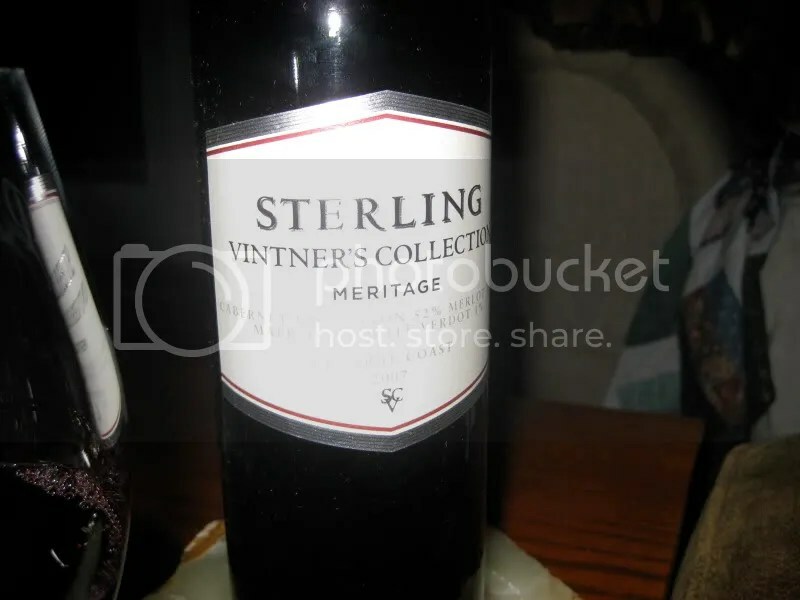 Tonight we tried the 2007 Sterling Vintner’s Collection Meritage. It had a real cork closure, clocked in at 13.5% alcohol by volume, and retails for as low as $8. On the nose I found chocolate, pepper, smoke, berries, big berries, plums, black cherries, and chocolate syrup. Overall the nose was big and fruity. In the mouth I found pepper, blackberry, black plum, chocolate, and some black cherry. The wine was juicy with a slightly sharp finish that mellowed as it sat in my glass. I’d recommend this over a critter wine any day for way more bang for your buck at $8.